In sales, filling a sales pipeline with qualified leads is the magic behind predictable income and massive commission checks. 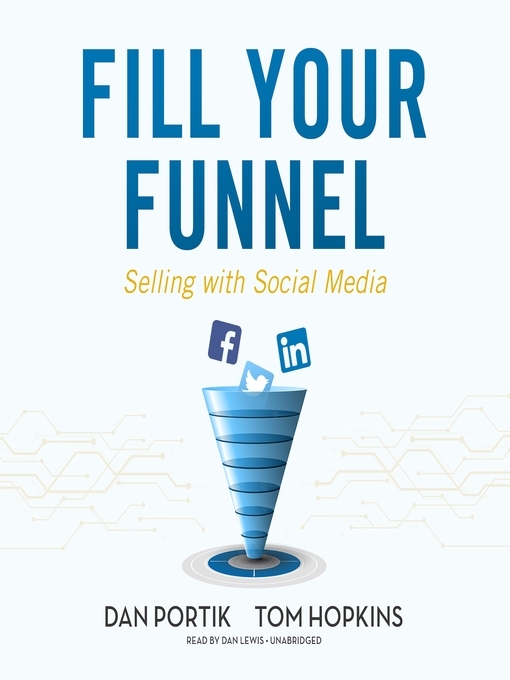 In Fill Your Funnel, get step-by-step instructions on using social media platforms like Facebook, Instagram, LinkedIn, and Twitter to generate qualified leads into your sales funnel. Learn what experts Tom Hopkins and Dan Portik know about social media strategies to generate leads. This book contains social media posts and email templates from successful campaigns to guide you on how to set up an effective social media campaign that drives conversions. creating an attractive online presence for professionals,how to navigate the differences between Instagram and LinkedIn,how to build social media profiles for salespeople,effectively prospect in LinkedIn Groups,what to send and when to send posts,formatting a video post, andsocial media follow-up templates.